My chat with the amazing Debbie Millman. "Welcome / Ahlan Wa Sahlan"
This project started right after the current administrations first travel ban. 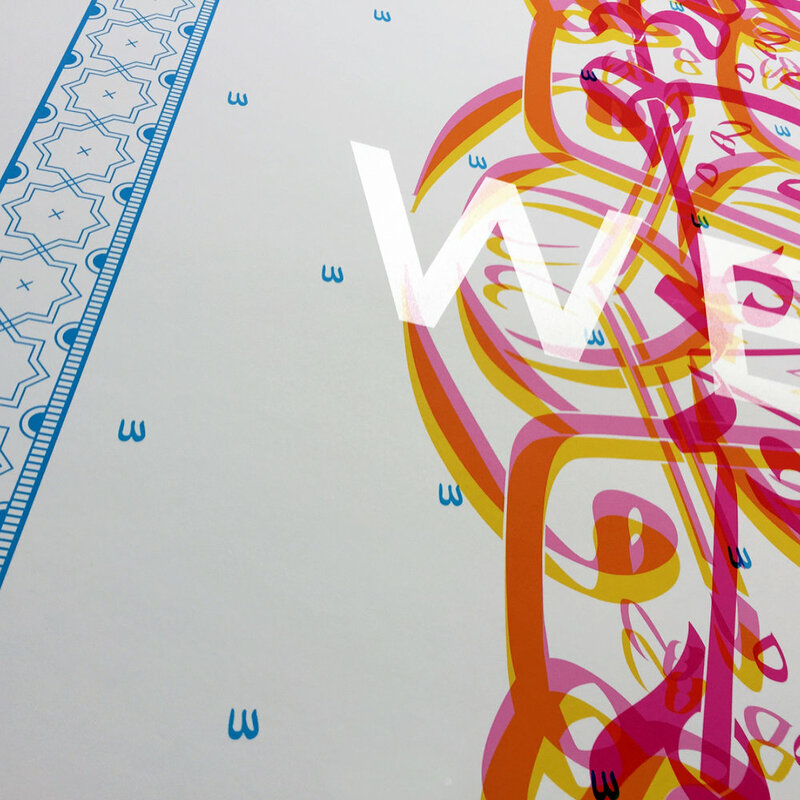 The idea: a poster that simply said “Welcome” in Arabic. I searched for quite a while until coming across the awesome work of Saudi designer and artist Yusef Alahmad who graciously agreed to collaborate with me. America was built on being inclusive for all and we need to stand up and resist any policies to the contrary. 100% of sales will be donated to the ACLU to help enforce that happens. We are fortunate that this piece titled, “Welcome” (Ahlan Wa Sahlan / أهلاً و سهلاً) was included in the Saudi contemporary art show, Epicenter X at the Arab American National Museum. In addition it was recently a part of the INTO ACTION exhibit in Los Angeles which was a week long celebration of community power + cultural resistance featuring over 160 artists, speakers and performers. The Arab American Museum has acquired it to be part of its permanent collection and will be in the gift shop for purchase. It was featured in Riyadh, Saudi Arabia in November 2018 as part of the Misk Global Forum event as well as featured along with Yusef Alahmad in a symposium at The Corcoran School of Art and Design – George Washington University in DC. It is hard to see in the photos, but there is a overprint of "Welcome" in English with a clear varnish. If you would like to support, you can purchase one on my Etsy page.